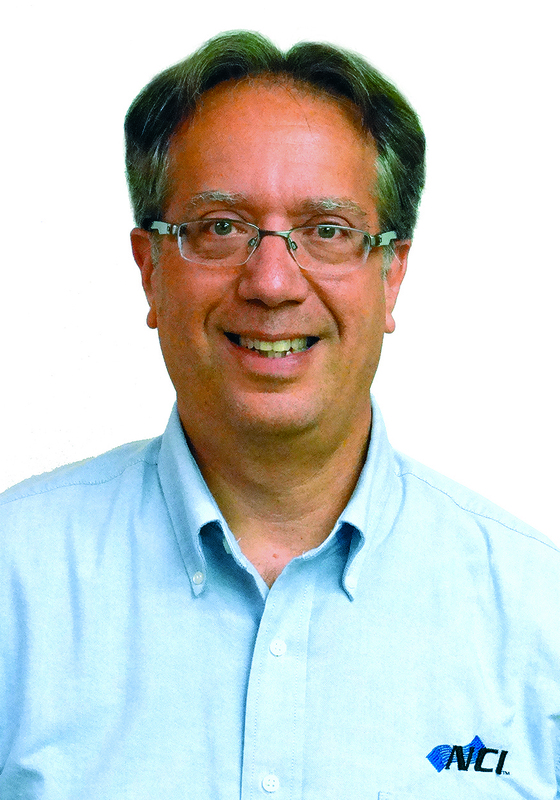 Analytics — why are they so doggone important? To answer that, we need to know the terms and references required to understand marketing analytics, whether you are doing it by yourself or using a third-party web management person/team. Looking at analytics without knowing or understanding what you’re seeing is just like looking at your P&L Statement and not knowing what the numbers mean. With that in mind, “If you don’t measure, then you are just guessing.” That‘s the mantra the team and membership of the National Comfort Institute live by when it comes to Performance-based HVAC contracting. It’s a turn of phrase that serves us well on our mission to help contractors understand how mechanical systems actually perform based on more than just the manufactured equipment alone. We talk about this in almost everything we teach, write about, and post online. This philosophy actually extends well beyond just mechanical systems. We should be measuring everything we do in our business to make sure we are hitting our targets: sales, profits, inventory, customer acquisition, fuel costs, and productivity – the list goes on and on. We have many tools with which to conduct these measurements – cash flow statements, Profit-and-Loss statements, benchmarking our peer groups and so on. Let’s face it, measuring the marketing and promotion of your company, its services, and people isn’t easy. Sure there are plenty of tools that can be used to measure how well a traditional printed direct mail or advertising campaign is going, but they are expensive and aren’t necessarily very accurate. And they can be time consuming. The fact is, by the time you get access to that information, a lot of time has passed and you can’t react to it very quickly. And then The Internet Was Born . . .
Al Gore invented the Internet (joke) and that changed everything. You see, everything that is done on the Internet can be very specifically and very quickly measured. In fact, by today’s standards, a website can generate enough data to actually create a profile of the typical user that enables you to customize any user’s interaction with your site and your content. Fact: Statistics show that almost 75% of the entire North American population is online. That means a large percentage of your customers are and that is a potential marketing bonanza for your company. Think of content – messaging/communications with your customers — as the lifeblood of your website and your marketing. It’s similar to what we at NCI preach about the ventilation system in a building, specifically the ductwork. That content is what drives all your metrics. Now we’ve certainly talked about what that content should be in other webinars and classes. Surmise it to say that it should focus on what you are selling and what your customers want to buy. It should be helpful without being a sales pitch. If done right, your content will be the honey that attracts the bee. Because of the Internet consumers are smarter than they ever were before. They understand the power of search, comparison shopping, and reputation. They do research on everything. This is a very good thing. 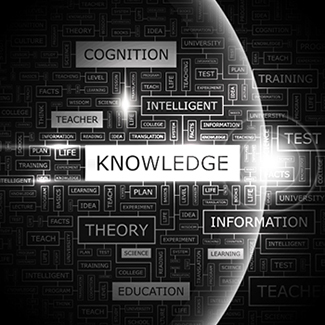 You want to appeal to their quest for knowledge and serve them the content they want to consume. This is especially true when they need to make decisions about pricey purchases, like HVAC services, that impact their safety, health, comfort, and energy use. As contractors – you OWN that information. You now just have to market it in all the “flavors” they want. Some experts call this content marketing. The first step in any online content marketing program is to drive traffic (consumers) to your website. That means, when they search online for HVAC, cooling, heating, contractors, etc., you want your company website to appear on the first two or three results pages. 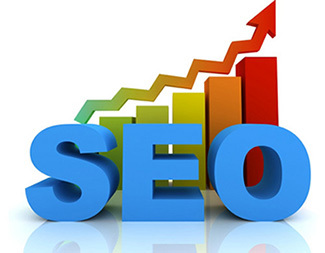 To do this you have to optimize your site using a technique known as search engine optimization or SEO. An entire industry has evolved that has made SEO a science. There are tons of consultants and programmers out there who can rework the back ends of your websites to create a very SEO-friendly site. But there are a number of things you can do yourself that cost you nothing and can really increase traffic to your site. In HVAC speak, SEO begins with testing in. You can’t know if your strategies are working or not unless you have a basis. So the first rule of SEO is to monitor what is happening on your website. Search words are important. They are the “keywords” that people use in search engines like Google or Bing. If you want your site to appear higher on search engine results pages, then you need to place appropriate keywords throughout every aspect of your site: your content titles, in the body of your content, URLs, and even the names of the images you use. When you place your content on your website, the actual text is converted to something called hypertext mark-up language (HTML) which is a form of coding that allows you to embed links, graphics, videos, and SEO terms into the content. Two of these — the title tag and page header — are the two most important spots to put keywords. BEWARE: Don’t stuff the ballot box. Don’t think you can fool the search engines by using ridiculous amounts of keywords on your site. That will actually have the opposite impact and you will most likely get labeled as a spammer, and search engines are programmed to ignore sites guilty of “keyword-stuffing.” Be strategic in your keyword use. Another SEO tip is to not only include links in your content out to other sites, but to get other sites to link into your content. Search engines love this and it really boosts traffic to individual pages on your website. Use sitemaps – this is a page listing that links to all other major pages on your site. It’s like a table of contents in a book or magazine. Sitemaps make it easier for search engines to search your site. Flash – don’t use too many Flash special effects – they add nothing to SEO and can slow a website down. Use image descriptions – A photo is worth a thousand words, but search engines will just pass them by unless they are descriptively named using keywords. In addition, use photo captions beneath your images. Make sure the captions have keywords in them as well. Have fresh content. You really need to update your content fairly regularly to keep it fresh. This is crucial for increasing site traffic. Some say that integrating a blog into your site is a great way to add fresh content regularly. By the way, there are companies and websites out there which offer content services. You could use these services to update your content, but you should be wary and make sure you customize their content so it’s pertinent to your audience. Use social media to promote your content, activities, and site. I’m talking about Facebook, Twitter, LinkedIn, Pinterest and others. This is VITAL to your SEO strategy and your metrics. OK – that’s really the basics of building your search engine optimization. These tips help you create a baseline for growth. Now all you have to do is monitor and analyze the results. Marketing analytics, Internet (or Web) marketing analytics in particular, let you to monitor campaigns and their outcomes, enabling you to spend each dollar as effectively as possible. The importance of marketing analytics was summarized in a 2008 study by the Lenskold Group. The study found, “companies making improvements in their measurement and ROI capabilities were more likely to report outgrowing competitors and enjoying a higher level of effectiveness and efficiency in their marketing.” Simply put: Knowledge is power. Having said this, one of the most powerful marketing performance metrics is the keyword. Keywords tell you exactly what is on the mind of your current and potential customers. Some examples: keywords can reveal exactly what product features or solutions your customers are looking for. If you do customer surveys, by examining keyword frequency data, you can begin to see the priorities of their interests. By monitoring changes in keyword frequencies, you can identify and predict customer behavior trends. Then there’s customer support – keywords can help you understand where customers are struggling the most and that can help you decide how your support resources should be used. Page Rank –Google considers links to be like votes. Google also considers some votes are more important than others. Page Rank is Google’s system of counting link votes and determining which pages are most important based on those links. These scores are then used along with many other things to determine if a page will rank well in a search. Learn more here: http://ncilink.com/PageRank. Site Referrals — Referral traffic describes visitors to your site who come from direct links on other websites, rather than directly or from searches. For example, other sites that like what you have to say or sell may post a link recommending your site. You can also try to drive your own referral traffic by leaving links on other blogs or forums you have joined. Referral traffic increases your site’s “page rank,” which boosts it in Google search results. High rankings in Google are coveted, as being listed on the first page of a search can lead to many more clicks than if your site showed up on the fourth or fifth page of search results. Referral traffic is also important because it provides a steady source of traffic outside of search engine hits. Referral traffic drives targeted visitors to your website, which may increase revenues as they are more likely to buy your product. A person who finds your site at random may find it has nothing to do with what he was looking for. The e-How website has more details on the importance of referrals: http://ncilink.com/Referral. However – be careful about linking to manufacturer websites with dealer locators built into them. If you do, you can be setting your customers up for your competitors, which isn’t good for your business or your SEO. Number of Visitors:This is determined by the how many visitors came to your site and which pages they visited. Unique Visitors: These are measured according to their unique IP addresses, which are like online fingerprints. Unique visitors are counted only once during a specific measuring period (hour, day, week, and month) no matter how many times they visit the site after that initial time.This metric represents individuals, making it an important metric to keep your eye on. Page views: A Web page that has been viewed by one visitor is a page view. Page views are often used in online advertising. Advertisers use the number of page views to determine where and how to advertise. They can also determine which parts of a website are popular and can be used to determine what content is being read, and what isn’t. Bounce rate: this is a controversial metric, in my opinion. Google defines it as the percentage of visitors who spend just a minute or two on one page of your site before leaving. There are those pundits who say that this is a bad number – they say it means people either came to your site by mistake or that they didn’t like what they saw and bailed. Others say that people came to your site, found what they needed, and left right away. In my humble opinion, the metric should be taken with a grain of salt, unless you can find other metrics that back up one theory or the other. Time on Site: Generally, the longer a reader stays on site, the more likely they will convert to becoming a customer. In the HVAC industry, if your average time on site is two minutes, you are doing well. Number of Pages Visited: Like time on site, more pages visited is better because it increases the opportunity to engage and convert the reader to a customer. Subscriptions: The number of email and blog subscriptions is a good indicator that visitors find value in the content on your website, so much in fact that they want to be notified when you publish something new. Conversion Rate: This is the rate at which visitors “convert” to leads. Compare the conversion rate for one piece of content (such as a blog post) against the conversion rate for an entire website to figure out how well that piece of content works in achieving the goal of getting new customers. So now that you have lots of metrics about how your site visitors behave, and you understand what each metric is measuring, how do you know if your numbers are good? One method is by benchmarking, or comparing your stats against others in your industry. Another way is to simply track and compare your current numbers with your site’s previous performance. If you aren’t satisfied with the way your analytics are trending, it is time to take a good hard look at your content as well as your strategy. Do your blog posts and articles include well-written content appropriate for your target audience? Are you publishing fresh content on a regular basis? Remember, analytics can only interpret how well your content performs, but it can’t create excellent content. That part is up to you! To help you along, here are some beginner “analytics” you can use to see how well you’re doing. First, make sure you really know the look and feel of your website. Know what works, what doesn’t, what needs fixing. Then go visit one of your competitor’s sites and get to know it. Think about how it looks and is it easy to navigate? How well do the videos work? Does the site have a shopping cart and does it work? Do they post customer reviews on their site? Play with their site search. Take notes. Write down your thoughts on what frustrated you, what was broken, and what you think the site is all about. Now that you have an idea of what the competition is doing, it’s time to look at your traffic sources. In other words, where does your traffic come from? This is known as an acquisition strategy. Do you have such a strategy? Step one is to access your site stats. Many websites have basic stat reporting built in, but you can also use web-based tools like Google Analytics or Omniture for tracking stats. There are others as well, though Google and Omniture may be the two best available. Most analytics platforms have a traffic sources report. Sometimes it’s called just sources. The key to a good sources report is balance. You want a balanced portfolio that consists of traffic that comes from search, referring sites, and direct campaigns (let’s call this social media marketing). In Figure 1, the site on the left approximates what experts call a “best practice” of where you site should be. Around 40% to 50% Search is normal. If the number is too big (Figure 1, site on the right), it indicates an overexposure to search rankings and algorithm changes (not good at all). If it is too low, you’re simply leaving traffic (read that as money) on the table. 20% or so Direct Traffic. If the web analytics tool is implemented right, these are all your existing customers or people from offline campaigns. You want a healthy amount of both. If direct traffic is low, this could indicate customer service/retention issues. 20% to 30% Referring Sites. You can’t just rely on search engines or spending money on campaigns. A healthy web strategy includes a robust amount of traffic from other sites that link to your products and services, rate those products or services, as well as promote your company on Twitter, Facebook, Blogs, and discussion forums. This is mostly free traffic that you want. 10% Campaigns. Google Analytics calls this “Other.” This consists of any email marketing, display/banner ad, Facebook display, and social media campaigns that you run. These are deliberate invitations to visit your website. You want at least 10% of the traffic to be from those invitations. Visitors who come to your site regularly and stay on the site for a significant amount of time are golden! Here is how you find out who these awesome people are and how many of them love your site. Site 1 in Figure 2 shows the bulk of visitors are merely one-night stands. By itself, that is bad. Look at the numbers for those who visit the site nine times or more per month. They add up to nearly 40%! That is an astounding number. According to SEO experts, you can do a deeper analysis of that 40%, learn what is really working, and apply it to the one-and-done group to grow traffic. 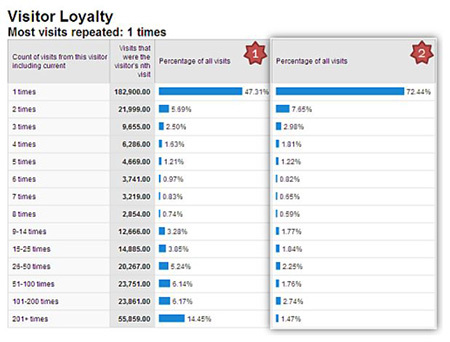 On the other hand, if your visitor loyalty report is more in line with Site 2 in Fig.2, it’s re-evaluation time. That site is really visited only one time by most visitors. Again, most experts will tell you this is not a sustainable business model. One measurement that I find valuable is the length of the visit to your site. 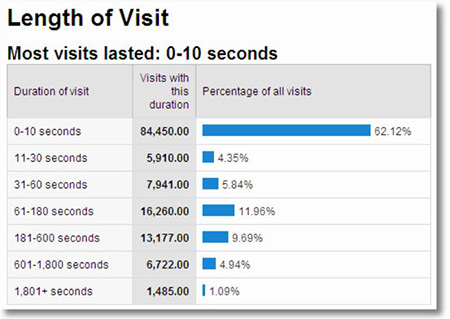 Figure 3 is also from Google Analytics and shows that more than 625 of the visitors to this site were there for 10 seconds or less while the number for time spent over a minute are nearly 29%. The second group not only spends time on the site, but goes to more than one page deep. I’ve already mention two key online tools: Google Analytics (http://bit.ly/GoogAnal) and Omniture (now known as Adobe Analytics — http://bit.ly/OmniAnal). Google has a free version you can use here: http://www.google.com/analytics/ce/nrs/standard/. Omniture (Adobe Analytics) is a fee-based package. Alexa.com (an Amazon.com company) – The fee-based tool has a free trial period. It ranks websites. It requires you to install the Alexa toolbar into their browser. Provides interesting stats – site overviews including monthly unique visitors, engagement, traffic sources, referring sites, keyword search and more. SimilarWeb.com — Provides a line graph with values for the number of daily unique visitors and the sources. Highlights the countries where traffic comes from, top referring sites, top destination sites (sites people visit after yours), display ads, audience interests, and up to 10 organic keywords with the free version. SEMRush.com – As the graphic shows, this web tool measures the strength of keyword use on your websites and blogs. This excellent tool helps you create rich keywords that drive the traffic you need. Jumpshot.com – This tool is an online repository of analyses of traffic to its 107 million global user panel. Talk about a data aggregator. This is a fee-based tool that has a free try-out version that highlights traffic sources, trends, and visitor information. AWstats – This free application graphically shows you all the data that resides in your website logs. Among the key stats it tracks: unique visitors, number of visits, and page views. They present data by month, week, and day. It also tracks time on site, referrals, and more. StatsCounter — Used among most non tech-savvy web owners. It gives real time statistics of your web traffic but the drawback is you will need to pay if your traffic exceeds 1,500,000 page views a month. WOA!!! – That would be a GREAT problem to have, eh? SiteMeter is another very popular traffic tracking provider. Like StatsCounter, it provides 2 different charges of services; the free and the paid premium. Free services get all basic statistics a webmaster could possibly need but in case you want more comprehensive analysis on your traffics, you will need to get the premium account. GoStats provides not only the normal stats everyone wants to see, it also comes with a prediction figure. The tab navigation from text view to graphic view is very handy. Another good visitors tracking system worth checking out. As I said earlier, to drive traffic to your website post great content online at least weekly so that it is fresh. You need to have a plan to market that content, and you need a way to measure the results. The key to dominate in your marketplace; you need to dominate your brand exposure online in your market area. There is a lot more information available to you online. Just do a Google Search for web traffic analysis and tools for more information.